Home > Community > What are you? Educated or literate? ‘Are you educated or literate?’ Did this question puzzle you, even a little? If you ask a layman the difference between the two terms, there are high chances he/she would have little understanding of the difference between the two. Much like what happened with Krishna. Krishna is a 10 year-old boy, living with his parents and grandparents in a small town called Dharwad. The curiosity bug bit him when one fine afternoon, a census enumerator came knocking at his door. The census enumerator asked his father a long list of questions about his family, housing, employment details, and whether each member of the house is literate, etc. What caught Krishna’s attention was the term ‘literate’. Every country has its own definition of literacy, tailor-made to suit the country’s economic needs and social requirements. Some countries have specified a minimum age group that must be fulfilled in order to be considered a literate. 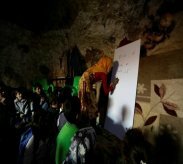 Other countries have specifications on the number of years of primary education an individual must have in order to be considered a literate. Literacy is often used as a parameter to measure the development of a country. The more percentage of people that are literate, the more developed a country is considered to be. Literacy is also used as an indicator to boast about how progressive the women of a nation are. When Krishna’s father was just done explaining to him the concept of literacy, Krishna sprang up with another question, “Then what is education?” His father was speechless. 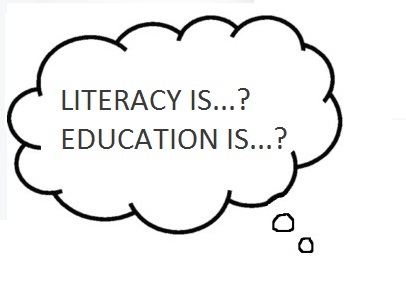 ‘Education’ and ‘literacy’ are terms that often find interchangeable usage in everyday life. And their difference is something everyone should fathom. Education is a much broader concept when compared to literacy. Education is not merely reading up on a couple of textual books and rote learning concepts, which can be the case when one, is talking about literacy. Education, on the other hand, caters to the overall development of an individual. Every literate person cannot be an ‘educated’ person. Literacy is just one of the many skills that education should provide in its course of making the individual more aware about his/her surroundings and the world in general. But it won’t be wrong to say that literacy paves way for acquiring education. Now, Krishna knows the difference between ‘literacy’ and ‘education’. Do you?